To submit materials to one of our six initiatives, read carefully each specification. Books du Jour, our literary TV series program (entering its 3rd season). or to be review on Author du Jour. Best method to have your authors and books featured is to forward your book, along with the PR sheet (we need to know who sent us the book and to contact you). We do get a lot of submissions. Our selection is completely based on themes and availability. Your author must be in NY on the day we shoot. We run a mid-size production and cannot reschedule the logistics to accommodate a change of schedule. Bear in Mind that we may already have contacted your PR person. In the event of the contrary, send us your work. Make sure to include a short description, a synopsis, along with a bio, a press release, and your info, along with your book. For queries, please do not send us an email with five, ten, or fifteen links for us to gather your info. We just don’t have time to play detective, even though we pretend to be book detectives on the program. A one-two-page PDF works best. 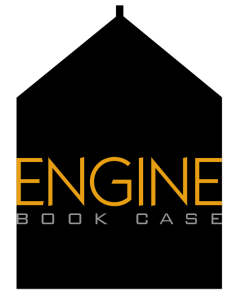 Book Case Engine: For writers interested in seeing their work published through our Book Case Engine publishing arm, please visit the Publications menu for our publishing guidelines and requirements. We are looking for original voices in YA, MG and New Adult fiction, literary fiction, genre fiction, especially crime/thriller/mystery, self-help, everything romance, and great science, sociological and historical manuscripts. Check out our authors and various series. We are also eager to receive manuscripts in foreign languages (untranslated literature) to publish them in their original language and/or in translation. We accept Spanish, French, Italian, Portuguese, and Russian projects for the moment. We work with Lingorama for all our translations. BDJ Mag stands for Books du Jour Magazine. It will be launched during Fall 2016. We absolutely encourage you to pitch us stories and feature articles. The magazine will work in tandem with our TV program. Book Case TV, our weekly literary TV series program is currently hiatus since Frank Debonair, the host, spends his entire days watching our other literary TV Series, Books du Jour. He does not seem to get tired . . . We will inform you when he does and decides to return to work. Altered Ego Entertainment (AEE) is our film & TV partner production company that is always interested in knowing what people are thinking about. For general information and inquiries about AEE’s productions or to pitch us something make sure that your project is within financial reason. We cannot produce Hollywood fares. Bear in mind that AEE’s scope of interests deals mainly with Art related projects. Book Case Salon, is a monthly live public event taking place in one of NY’s best public places. Book Case Salon will resume in the Fall.